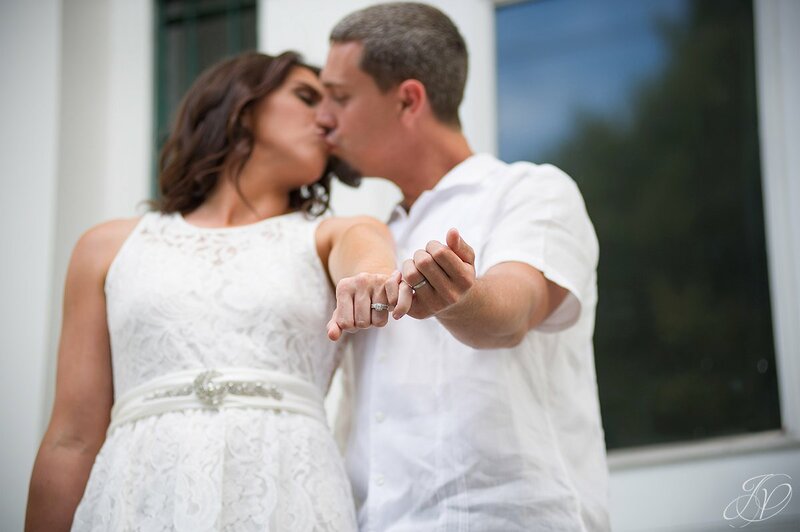 Karly and Jeremy tied the knot earlier this year in Florida. 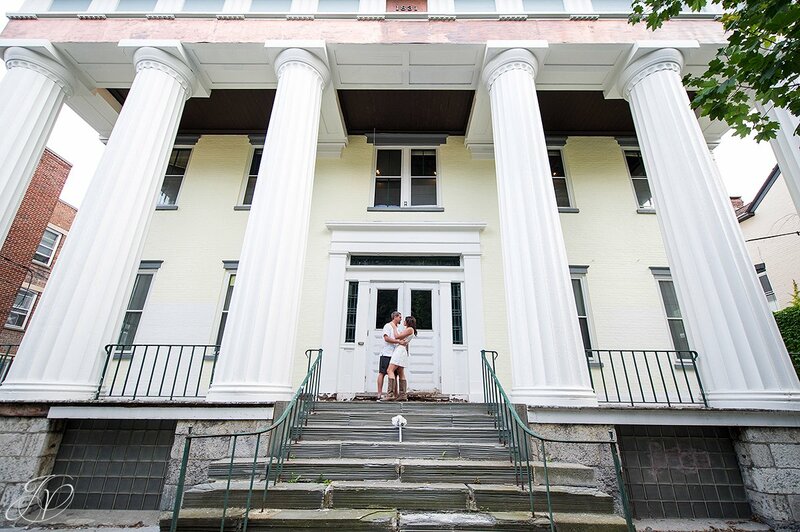 They've had some great celebrations throughout the year, and recently we met up with them in the beautiful and historic Stockade Disctrict of Schenectady for some portraits before their celebration at The Van Dyck Restaurant and Lounge with Karly's family (which we were psyched to be a part of!). It was so great to work with both them! 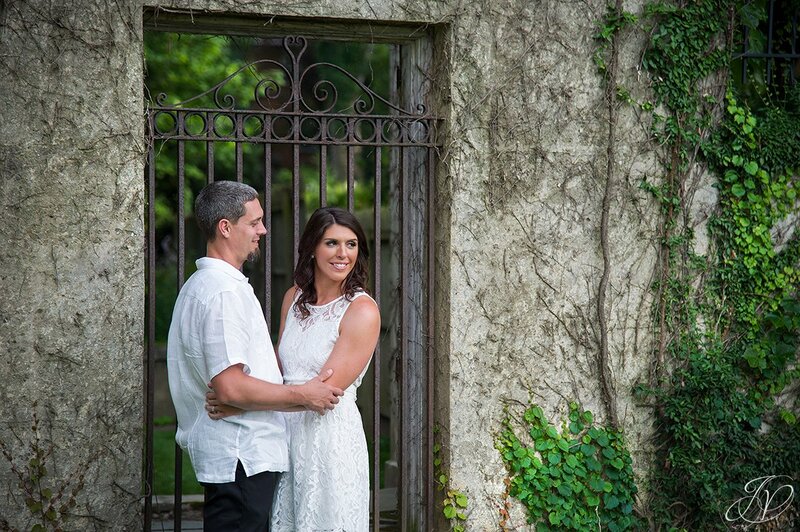 We had first met Karly and Jeremy when we photographed her sister Kristy's wedding last year. 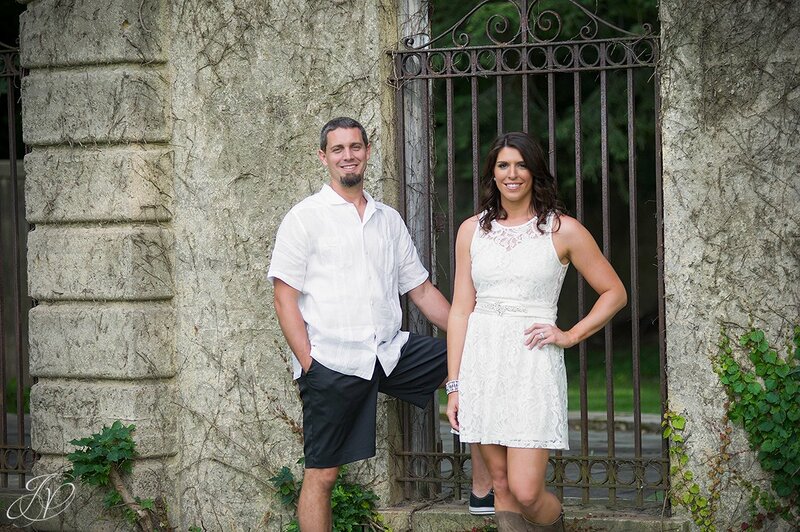 I just recently heard Kristy and Mark are expecting the first child, so congrats you two!!! 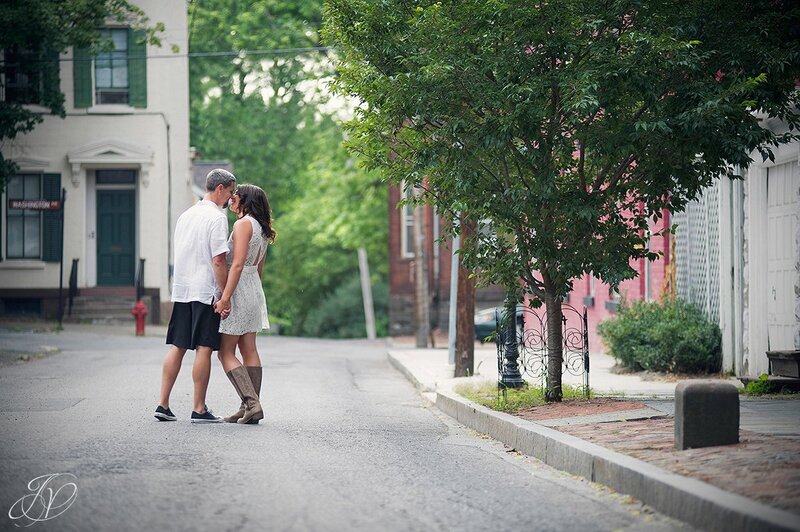 Anyway, I'm really excited to share this blog from our portrait session with Karly and Jeremy. It was a hot day to tour the Stockade District, but well worth it! There were a lot of great shots to choose from, so it was hard to narrow it down. I love moments like this one - so natural! Karly is so beautiful! 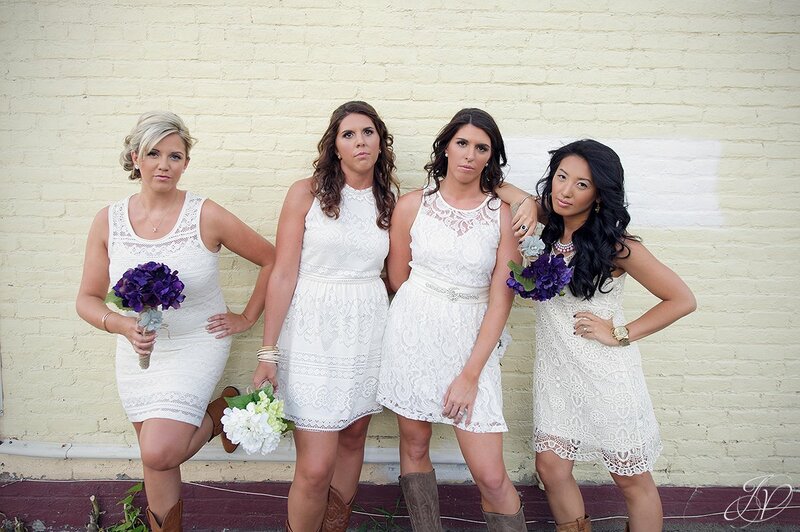 I'll end with this photo, which is a reinactment of Bridesmaids. I think you ladies pulled it off a lot better than those girls did! Love it (and that movie!)! 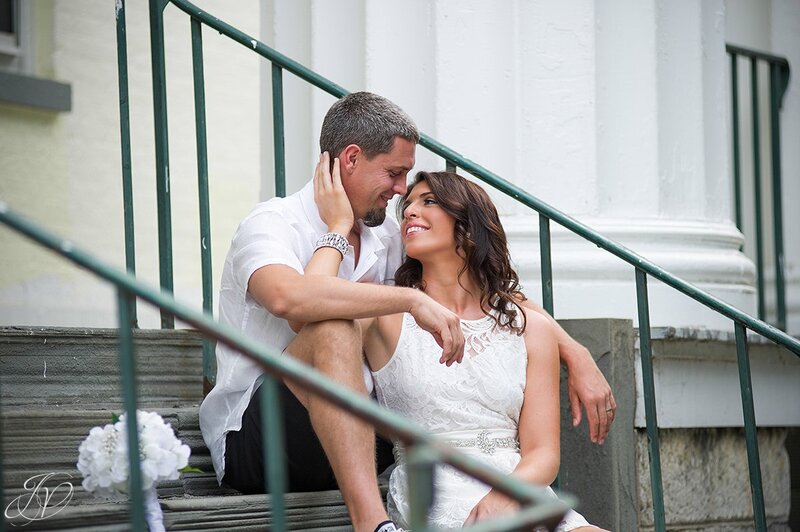 Congrats again to Karly and Jeremy; thanks for the opportunity to shoot a session with you! Karly and Jeremy will have a full online gallery of their NY celebration soon that I am sure the will share with their friends and family. So stay tuned!